Melissa Brooks has been a member of the Saint Louis Symphony Orchestra since 1992. She is a native of New York City where from 1977-88 she attended the pre-college division of the Juilliard School. Ms. Brooks received her undergraduate degree from the New England Conservatory where she studied with Laurence Lesser. She graduated from both schools with Distinction in Performance. Ms. Brooks has performed chamber and solo concerts throughout the country, including a duo concert with cellist Janos Starker. She has won numerous awards and honors and was nominated by Leonard Bernstein for an Avery Fisher career grant in 1988. Melissa has participated in summer festivals such as Marlboro, Tanglewood, Aspen, the Portland Chamber Music Festival, Concert Artists Guild Summer Festival, and the Sun Valley Summer Festival, among others. 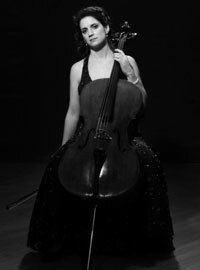 Ms. Brooks appeared twice as soloist with the St. Louis Symphony under former Music Director Hans Vonk, and also performed Pierre Boulez’s demanding Messagesquisse, scored for solo cello and six other cellos, under the direction of David Robertson. Her most recent solo performances with the St. Louis Symphony included J.C. Bach’s Symhony concertante in A, C. 34 (with violinist Peter Otto, Jeffrey Kahane conducting), and Haydn’s Sinfonia concertante (with an ensemble that included Barbara Orland, Andrew Gott, and Alison Harney, Nicholas McGegan conducting). She is an active chamber musician and was a co-founder of the St. Louis based arts organization, Crossings Concerts.